The wrong choices about Medicare can cost you. Here's help. If you’re nearing eligibility for Medicare, you already know how quickly healthcare costs are rising and coverage is evolving. Medical care will likely be one of your biggest expenses in retirement. Poor decisions now have long lasting consequences. Sound choices—made with an expert advisor at your side—will help you avoid mistakes and costly penalties that add up to big money, let alone aggravation and grief. Personal attention. Professional experts. Clear choices. 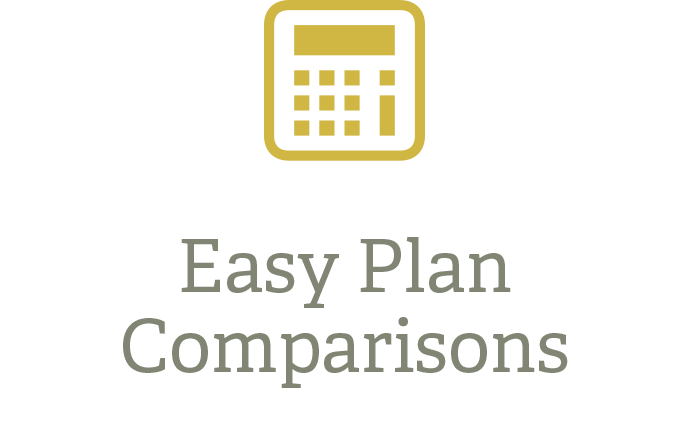 We make it easy to understand your options, maximize your benefits, and take control of your healthcare costs. Our services are designed to help you find your way with confidence. We offer everything you need to know to make informed decisions. We'll walk you through every step of the Medicare enrollment process, too. As you approach Medicare eligibility, you face lots of questions about your future. Which plan is right for you? What's first? What's next? Are you receiving the maximum in benefits you're entitled to? We equip you to understand your options, make informed decisions, and avoid costly mistakes. In doing so, you can move into the next phase of life with excitement and peace of mind.